Today, food trucks are seriously stylish and increasingly trendy. 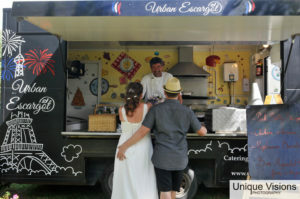 Nico Fini’s Urban Escargot Wedding food truck is no exception. 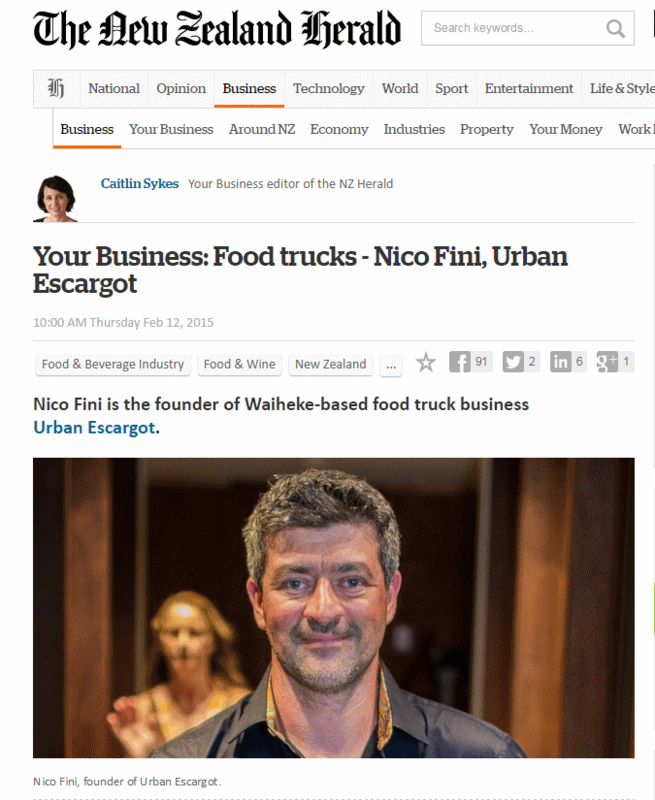 With more than 20 years experience in the catering industry, Nico expresses his savoir faire and French flair through his food truck at every event he caters for, and especially so when catering weddings either on Waiheke Island or by putting his Food Truck on the ferry come and meet you at your mainland Auckland venue. Nico has solid experience working with his food truck in the festival circuit and at other large events. Working with variable logistics, he has brought food to thousands of hungry customers, while also catering for smaller private events. In recent years, Nico has observed an increasing demand for a more casual, convivial approach to weddings. His food truck is the answer! One of the many advantages of food trucks for weddings, is that they can assist in keeping budgets down or in opting for something a bit less fussy for the reception. Food trucks are great for couples who don’t want the formality of a seated meal where guests are restricted to a seating plan and yet seek something a bit more than a standard buffet. The Urban Escargot food truck gives you the best of both worlds. 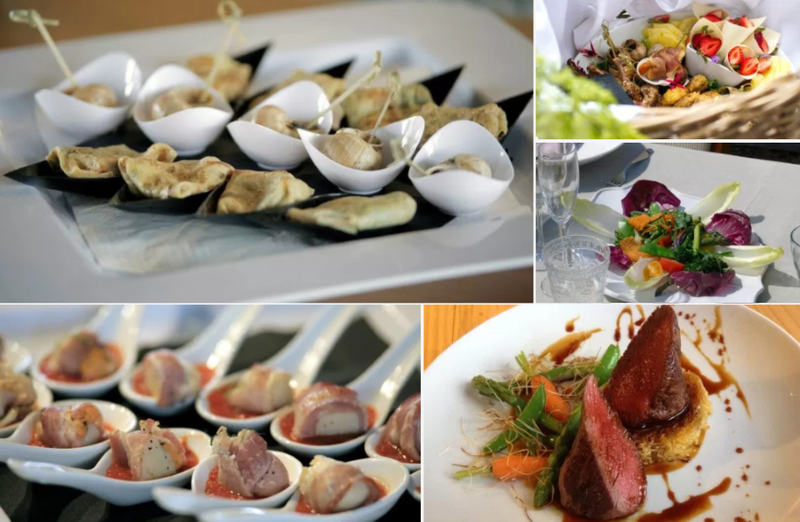 The format allows guests to mingle while they are eating, being well attended to with delicious, appealing food served by professional, friendly staff. Using a food truck also allows you to offer a more varied menu than a sit-down meal, which is usually limited to one or two options, all without your budget spiralling out of control. 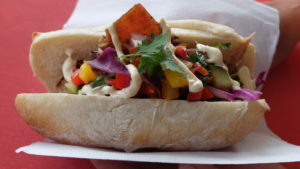 And while a food truck may offer a more casual dining option, the menu certainly doesn’t need to be lacking in finesse. Typical items on the Urban Escargot menu include Beef fillet Ciabatta with bearnaise sauce, pork belly burgers with pomegranate salsa, and even snails cooked in garlic butter!!! Booking a food truck also gives you ultimate flexibility about where you hold your wedding and reception. While Urban Escargot is based on Waiheke Island, where the beautiful scenery and relaxed atmosphere combine to make the perfect destination for a memorable wedding, Nico also regularly travels to Auckland and its surrounds to add his touch of magic. 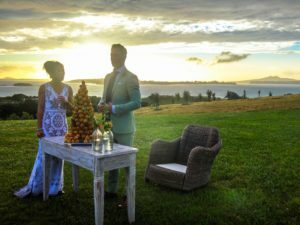 Nico and his team are well known on Waiheke, having catered events at several locations around the island and can cater for anything from a small boutique wedding to a larger event with several hundred guests. If you are interested in booking the Urban Escargot truck for your wedding, you can see more of the dishes by checking out our wedding food truck menu. Please contact Nico and the team to discuss your specific needs and book your day!